In San Diego County, nearly 9,000 of our neighbors are homeless (according to the Regional Task Force for the Homeless' 2018 Homelessness Summary Fact Sheet, though all experts agree that the actual number is far higher). Less than 2,000 emergency shelter beds exist, and many factors limit individuals’ eligibility for a bed. 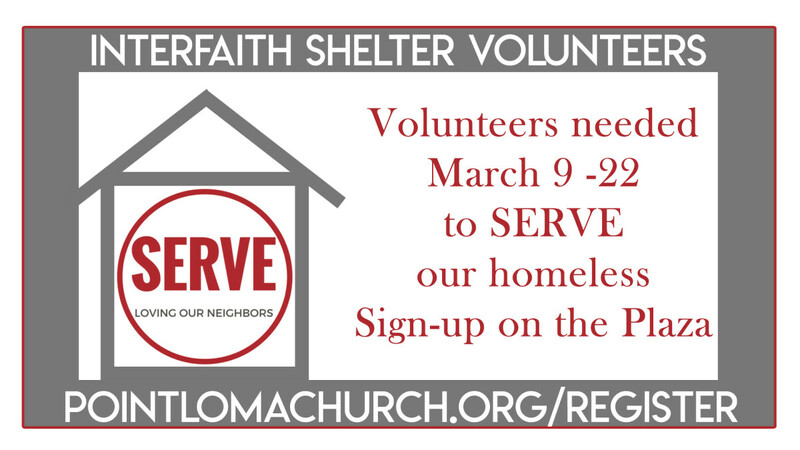 Join us in serving a small number of those affected with homelessness as we host the Interfaith Shelter. This interdenominational network provides temporary shelter and support services for homeless families. We have several different types of ways you can SERVE those in need.